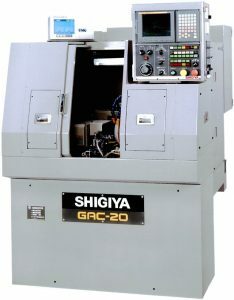 Small in size but big in performance, the GAC-20 is a compact CNC angular cylindrical grinder perfect for efficient, precision grinding of small parts. It enables simultaneous O.D. and shoulder face grinding. It can be easily combined with automated loading and transfer equipment for higher efficiency and productivity.